Analysts rejoice over our latest Wordsmith integration which delivers all the power of natural language generation (NLG) directly within Tableau dashboards. This is our deepest Tableau integration yet as we continue to focus on user experience, particularly ease of use for full Wordsmith capabilities within complimentary platforms you already know and love. Trust us, you’ll like where we’re heading with this. Included in the latest rollout of Tableau 2018.2, Tableau Dashboard Extensions offers interaction with third-party applications for deeper, more useful analysis. The Wordsmith extension extends all the same humanistic, role-based, and prescriptive perks within the comfort and familiarity of Tableau’s UI. You can find the Wordsmith extension in the Extension Gallery here. Existing Wordsmith users can quickly connect Wordsmith to Tableau with their API key. For those new to Wordsmith, we’ll walk you through how to get started. After connecting the shiny new Wordsmith extension, request a demo and our team will reach out to help get you started. After that, you can enjoy written analytics updating in real time by drilling down into data and watching the narrative change to reveal the specific insights you’re digging for, as well as surfacing insights you may have missed otherwise. To kick things up a notch, fully customize the word choice, tone, structure, logic, length, and even the language so you can wave goodbye to writing yet another “at a glance” or “key takeaway” summary to explain the data. 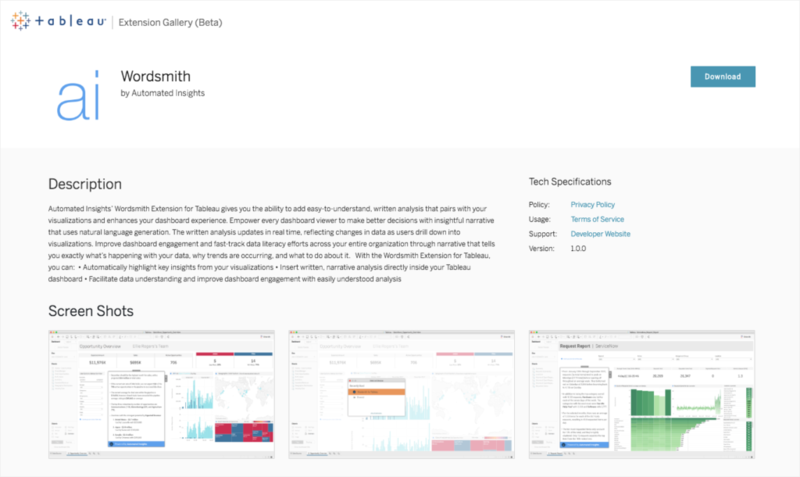 As we keep innovating on analyst-friendly features, our team would love to hear your thoughts on our new Wordsmith Tableau Extension. 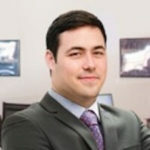 John Hathorn is the Director of Marketing at Automated Insights, where he's responsible for scaling the marketing team, devising and executing marketing strategy, and educating the business world about Automated Insights. When he’s not flooding the market with the latest and greatest about NLG, you might find him fishing, traveling, or nerding out with a history book.